This was the first year of the Annual City Park Employee Pumpkin Decorating Contest. 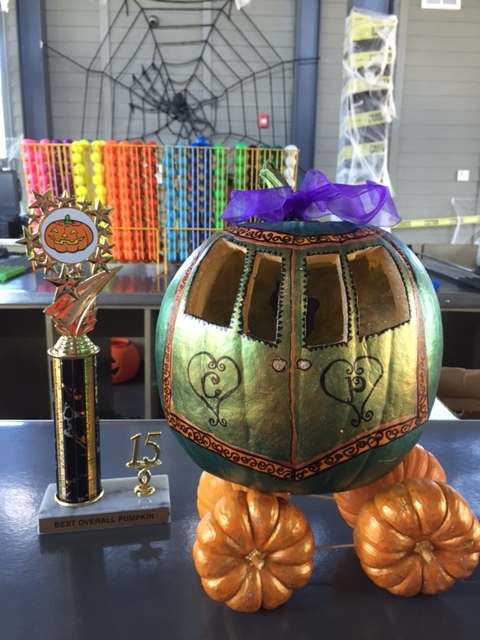 First place winner was the 'Cinderella Carriage' pumpkin submitted by the NOLA City Bark staff. After the pumpkin fun, the employees enjoyed lunch, cake, and a spirited game of mini golf at City Putt! Holy Cross brought 350 students to the Park today to work in Tad Gormley Stadium. They did some horticulture work along with a large amount of painting. The results were immediate and impressive. Each year Holy Cross has a boys to men volunteer event where they pair eighth graders with twelfth graders. The pairs work together and do some “bonding”. So let’s recap: It’s an absolutely gorgeous fall day in New Orleans. 350 Holy Cross Students invested significant sweat equity at Tad Gormley Stadium. Young men spent some quality time together. What’s not to like? Thank you so much Holy Cross! Click here to find out how you or your group can make a difference in City Park by volunteering. While Lynda Benglis had alrady concieved the idea for the sculpture it came to life when the 1984 Louisiana World Exposition selected her as one of the winners of a competition to design a sculpture for the fair, the theme of which was "The World of Rivers — Fresh Water as a Source of Life." 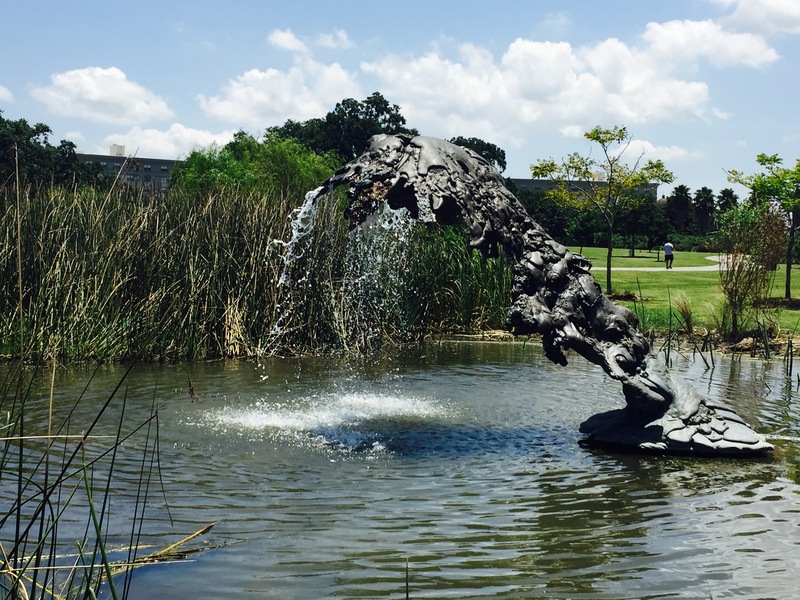 Benglis, from Lake Charles, grew up in nature by traversing the bayous and canals of southwest Loisiana inspired by the small waves and ripples. Clearly this beginning inspired her amazing art. Benglis visited City Park this week for the dedication of The Wave. The dedication included a conversation with Benglis that was both educational and entertaining.